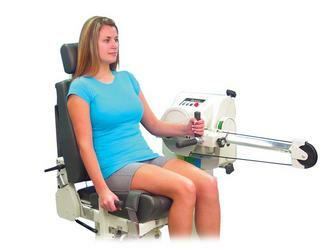 Linear motion attachment provides closed-chain exercise for early rehab of upper and lower extremities. The optional Closed-Chain Attachment has been designed to provide early, safe, progressive rehabilitation for both the upper and lower extremity. For use in all exercise modes.